Lucid Kolsch, Soulful Ginger, The Kickdown, Dubbelspeak. I liked this place. It was very bright and the staff were friendly. These beers were very different and I can’t say that I liked most of them. They were very strong in flavor – maybe too strong for my taste. 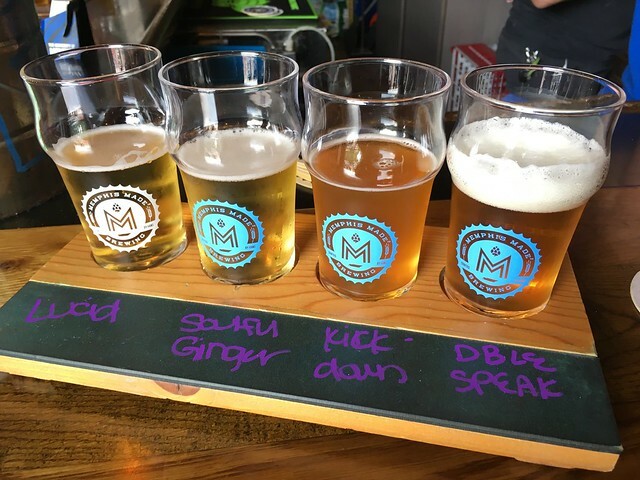 This entry was posted in Memphis Made Brewing and tagged alcohol, beer, brewery, drinks, food, happyhour by vicentesf. Bookmark the permalink. When I go to Memphis next, I will certainly have to try this out. Would love your feedback on my new short called The Writers Block. Hope to see you there.